Whiteknights Yorkshire Blood Bikes have just completed their first operational relay run in our new electric vehicle. Thanks to Sandal BMW, the battery-powered BMW i3 completed a zero-emission relay of Microbiology Samples from Scotch Corner on the A1 into Leeds city centre to Leeds General Infirmary. Pictured presenting the keys to WKYBB Fleet Manager, John Mitchell, is Head of Business at Sandal Huddersfield, Richard Avery. Watch this space for future updates about our eco-friendly vehicle. 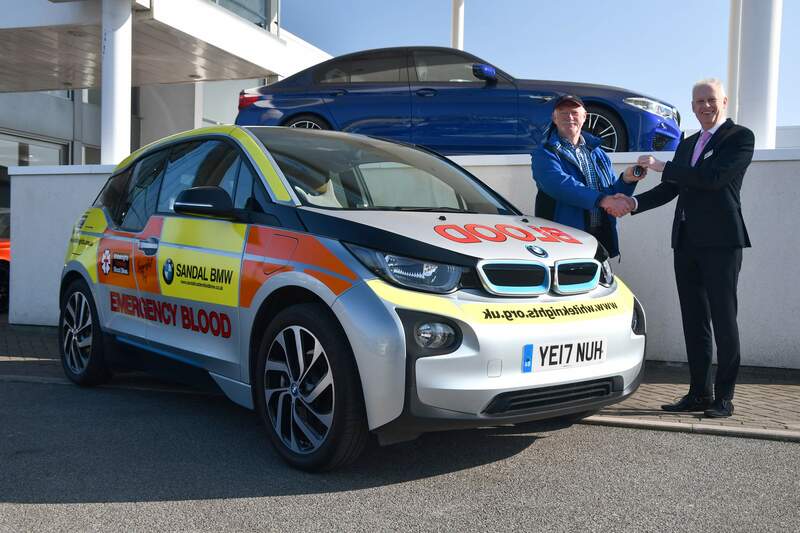 Speaking at the key hand-over , Fleet Manager, John Mitchell said: “Whiteknights Yorkshire Blood Bikes are very grateful for the generosity of Sandal BMW in providing the Charity with the use of this electric vehicle. Eco Touch UK Eco-friendly Waterless Automotive Cleaners support Whiteknights Yorkshire Blood Bikes.